Join us to paint! Enjoy the light and atmosphere of the Bixby Library – Half Round Room, located upstairs. 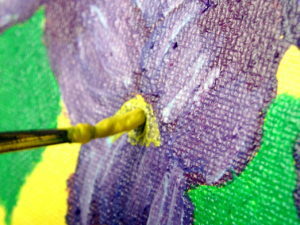 This painter’s group is open to most mediums. Please contact Linda Francis, lindafrancis@gmavt.net with any questions. This group will regularly be held every Wednesday, from 1-4 pm. Please check the library calendar for the most up to date schedule.